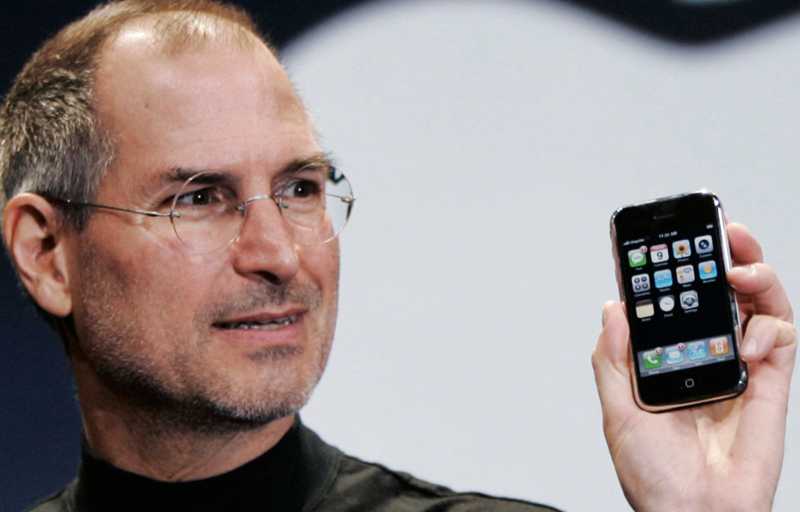 This week the iconic original iPhone will become a vintage and obsolete Apple product. But unlike a vintage wine or a car, it’s not one hundred years old, it’s just six. Compare it to today’s top of the range hardware, and the obsolete sticker seems appropriate, but simply letting it fade into the background is to do it a disservice, as we’re talking about one of, if not the most influential piece of consumer technology ever released. It’s fitting, then, to give it a decent send off. In some circles the iPhone was referred to as the Jesus Phone, and if this sounds a bit odd, you need to watch footage from the launch event, which took place at Macworld (remember that?) on January 9, 2007. The reverence with which the late Steve Jobs talked about the iPhone, even by his standards, is truly astonishing. “I’ve been waiting for this moment for two-and-a-half years,” he began, as he slowly paced the stage, “Every once in a while, a revolutionary product comes along … that changes everything,” he continued; and wow, was he on the money. If you’re interested in the modern history of technology, then watch the presentation. The enthusiasm of Jobs and the whooping and hollering crowd is contagious, even on video. Leave any fanboy credentials at the door, and marvel at not only the skills of a master, but the birth of the device which ushered in a new age of the smartphone. Yes, we know all about the Windows Mobile phones, the BlackBerry, and the Palm handsets, but Jobs was right, they were awkward, ugly, and mostly aimed at business people. The iPhone, on the other hand, was aimed at everyone. The original iPhone was very different from the iPhone we’re used to today. The most obvious difference, apart from the design, was the 2G connectivity. Although 3G had been available for several years, Apple chose not to exploit it with the first iPhone, a decision which would shape iPhones of the future, as a 4G LTE iPhone wasn’t introduced until it was an established option on multiple networks. Made from both aluminum and plastic, the 2G iPhone weighed 135 grams and measured 11.6mm thick, dimensions which hardly changed until the introduction of the iPhone 4 in June 2010. This wasn’t the only thing to stay the same either, as the 3.5-inch screen used on the phone remained in service until last year, as Apple concentrated on increasing the pixel density instead of the size. Then there was the software. 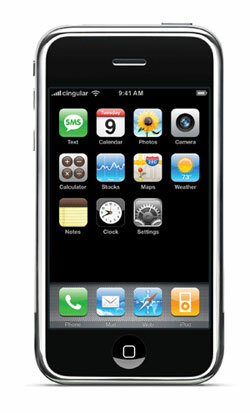 The very first version didn’t even have a name, but did become known as iPhone OS before being changed to iOS in 2010. It also had little functionality beyond a mobile version of Safari, the iPod music player, a YouTube app, and email. Poor by today’s standards, pretty ordinary for the day. There was no App Store either, so you couldn’t add anything to the home screen, giving it a weird, unfinished look. And of course, it wasn’t finished, as the introduction of the iTunes App Store with iPhone OS 2.0 and the iPhone 3G proved. It took Apple 74 days to sell a million iPhone devices, although it was only ever sold in a handful of countries, and despite attracting mixed reviews. While many complained about the rubbish camera, behind-the-times software features, and the slow data connection, most agreed it was the start of something big. Time Magazine was so convinced by its potential it named the iPhone its 2007 Invention of the Year. Looking back at Time’s reasons for choosing the iPhone is interesting, as two of the five are that, “It will make other phones better,” and that “It’s not a phone, it’s a platform.” Correct on both counts. The release of the iPhone saw the birth of what has become a staple of Apple launches: long queues of rabid fans waiting for a chance to purchase the latest device, many of whom may have waited outside their chosen store for days. Speaking to the BBC on Saturday, June 30, 2007, one proud new iPhone owner said she had been there since the previous Tuesday, and is quoted as saying the phone, “Feels great, overwhelming. I never thought this day would come – and now it finally has, it’s mind blowing.” Yes, she’s talking about a phone, and not her first-born. This degree of cringe-inducing fandom was only the beginning, and while the iPhone had many fans, it also attracted considerable hatred and derision. Jon Stewart, hosting the 2008 Oscars, poked fun at watching films on a such small screen, while Bloomberg published a 2007 column entitled, “Apple iPhone will fail in a late, defensive move.” The second sentence reads, “To its many fans, Apple is more of a religious cult than a company. An iToaster that downloads music while toasting bread would probably get the same kind of worldwide attention [as the iPhone].” As we all know, his views are hardly unique. Can I still buy one? A jailbroken, original AT&T iPhone 2G with 8GB of storage, in apparently good condition and full working order, which at the time of writing, is a mere $10 with five days to run on the auction. If you don’t mind spending a little more, then this auction for a near-mint 4GB iPhone 2G with a box, and all the accessories has a Buy It Now price of $785. Finally, for an eye-watering $20,000, you can purchase a sealed 8GB iPhone 2G phone, which comes with a second iPhone for display purposes. Or you could buy a car. If I do buy one, what does it mean if it breaks? Apple classifies vintage products as those which were discontinued, “more than five and less than seven years ago,” and unless you live in California, the company will no longer service or repair it. Products become obsolete after they have been discontinued for more than seven years, and no support is offered at all. If you don’t live in the U.S., Apple makes no distinction between vintage and obsolete, and as soon as a product is considered vintage in America, it’s automatically classed as obsolete internationally. This means if the phone has a problem, you’ll either have to find the parts yourself – eBay is a good source – and do the repair, or find a willing service center; however, not all registered centers support out-of-warranty products. The first generation iPhone is a design classic, not just when compared to its peers – where it’s influence is only challenged by the Motorola Razr – but also when put alongside other cool pieces of consumer electronics hardware. But, time marches on and this week, Apple introduced iOS 7 which head designer Jony Ive called, “An important new direction,” for Apple, while CEO Tim Cook said its redesign is the, “biggest change to iOS since the introduction of the iPhone.” Apple clearly views iOS 7 as the beginning of a new era, and as important as the 2G iPhone is to its existence, this seems like the perfect moment to announce retirement.